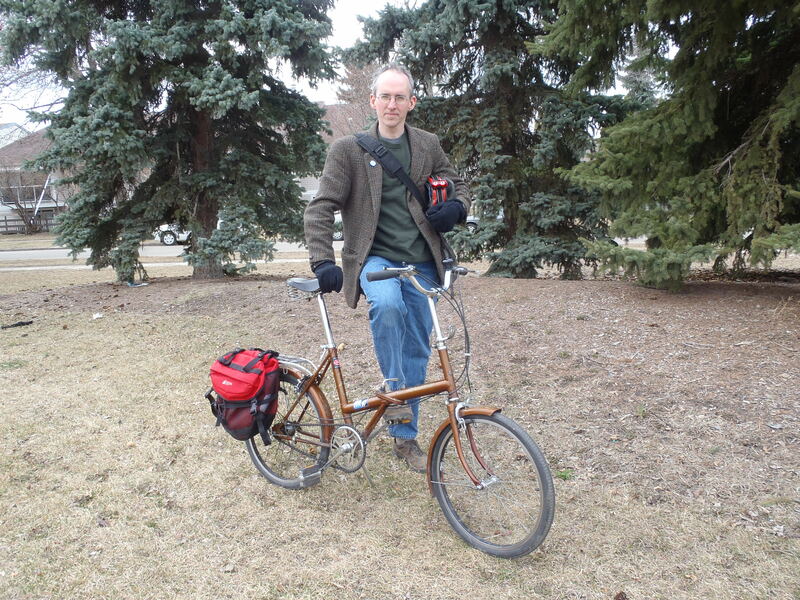 This entry was posted in Classic & Vintage Bikes, Cycling, Spring Cycling and tagged 3-speed bike, Bicycle, Bike, cycling, Edmonton, Raleigh 20 by tuckamoredew. Bookmark the permalink. 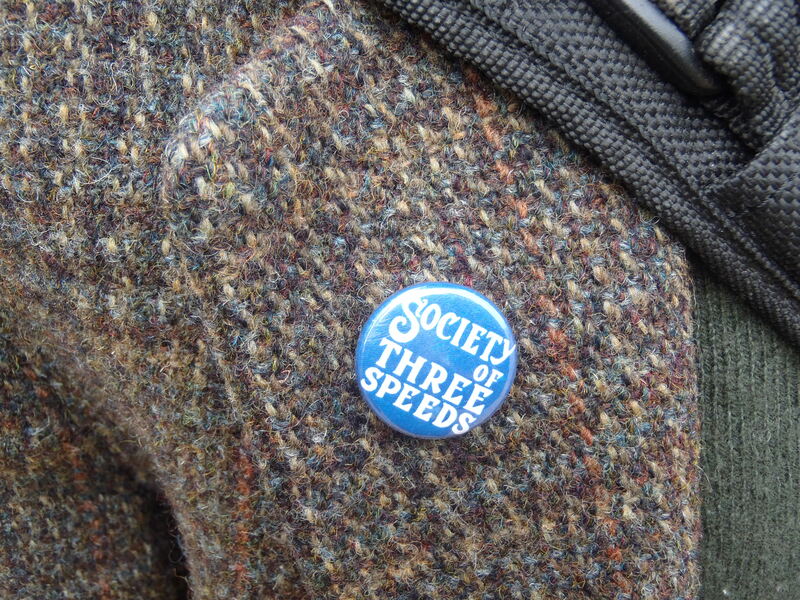 One of our members of the Great White North (Edmonton, to be specific), a Mr. Tuckamore Dew, sports a SOTS button on his tweedy wool jacket. He also follows Rule #3 while riding his Raleigh Twenty. Sorry, your’s not a folding bike. Does your wife have another bike? Just curious. 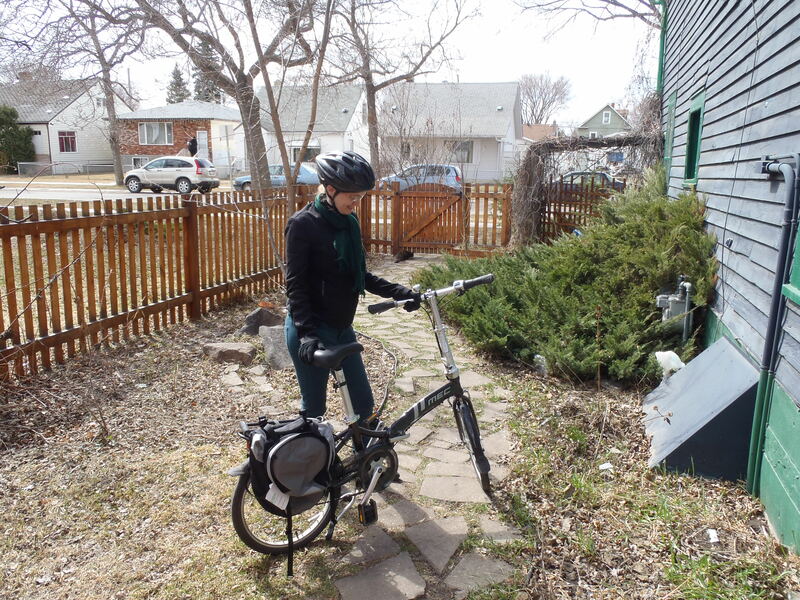 I have a Dahon folding bike and love it. It’s “Baby Day” to distinguish from his Dahon which is a different model. My 1977 R20 is a folding bike, but does not come anywhere near modern folders in terms of compactness or ease of folding. My wife had an older ’80s Dahon before this new one. The new one is a vast improvement.